New Delhi [India], Apr 16 (ANI): Wicket-keeper batsman Dinesh Karthik, who has been named in India's 15-man ICC Cricket World Cup squad, said it has been his dream to be a part of the marquee event. Karthik surprised the nation as he pipped young Rishabh Pant down to be Mahendra Singh Dhoni's back-up behind the stumps. 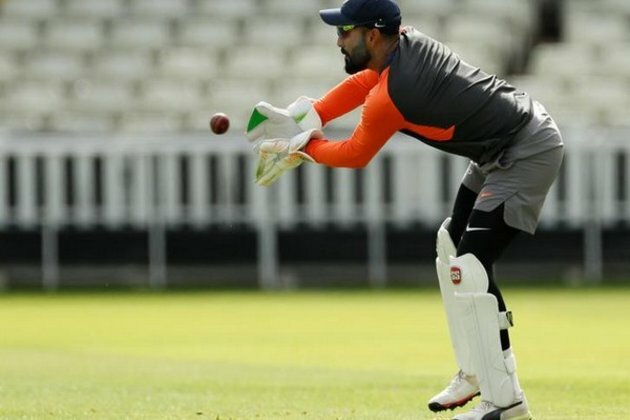 "It is definitely a case where we have debated at length and all of us in unison felt that either Rishabh Pant or DK (Karthik) will only come into the playing XI if Mahi (Dhoni) is injured," the chairman of selectors, MSK Prasad said on Monday while announcing the squad. "If it is a crucial match, like a quarter-final or a semi-final or like an important game, wicket-keeping also matters. So that is the only reason that we went ahead with Dinesh Karthik. Otherwise, Rishabh Pant was almost there," he added. The 33-year-old Karthik will be part of his second World Cup and first in 12 years, having last played in the 2007 edition. "I am very excited. It has been a dream for me to be a part of this (World Cup 2019) team for a long time now. As a team, we have done some special things, and I have been through that journey and I have really wanted to be a part of this team," Karthik said in a video shared by IPL team - Kolkata Knight Riders. Although Karthik has scored 111 runs in seven IPL 2019 innings so far at an average of 18.50, his experience has been acknowledged by the management. The wicket-keeper batsman has the ability to be a match finisher, having scored eight-ball 29 not out during the Nidahas Trophy final last year. "That is exactly what we have discussed. Under pressure, we have seen Dinesh Karthik finishing matches. That is one reason that scored for him," Prasad said. World Cup is scheduled to take place in England from May 30 to July 14. India will begin its campaign against South Africa at the Rose Bowl, Southampton on June 5.